A clementine is often just thought of as a small orange, but they are a fruit like no other. 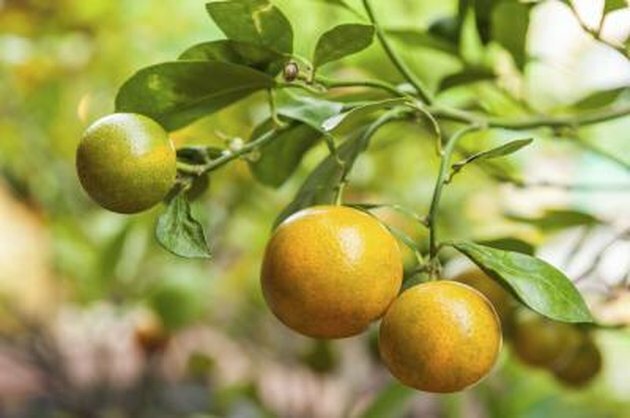 According to the USDA they are a cross between a Chinese mandarin and an orange, and they are packed full of nutritional benefits. Clementines are smaller than an orange and have a much thinner flesh that is a deeper orange color. They make a great snack, and children are particularly fond of them. A clementine contains 36 milligrams of vitamin C. For a child up to 8 years of age, with an RDA of 15 to 25 milligrams of vitamin C, that would fulfill the recommended daily requirement. For a child 9 years of age through 18, with an RDA of 45 to 75 milligrams, two clementines would satisfy the body's needs, and provide over two-thirds of an adult's needs. According to researchers at the Linus Pauling Institute in Oregon, vitamin C is necessary for the production of collagen which is a structural compound throughout the body, from the skin to the bones. It helps transport fat to cells to convert it to energy and even helps convert cholesterol into bile, which can play a role in protecting one from heart disease and gall stones. Since humans cannot produce their own vitamin C within the body, we need to consume it from an outside source. Clementines also contain 22 milligrams of calcium, which is necessary for muscle contraction and bone growth. While this is only a small percentage of the RDA for both children (500 milligrams) and adults (1000 to 1300 milligrams), it is a vital mineral, and eating a clementine can help you reach your RDA of calcium. One clementine contains 131 milligrams of potassium, which is another essential element for a healthy body. The American Heart Association states that potassium maintains the water balance in the body between cells and body fluids, aids in muscle contraction just as calcium does, and helps to lower blood pressure. Eating a well balanced diet that includes other fresh fruits and vegetables, along with clementines, will provide adequate potassium intake. The nutritional benefits of clementines don't stop there. They only contain 35 calories and 8 grams of carbohydrates. They also contain 1.3 grams of fiber, which maintains healthy digestion and aids with weight loss. What Is the Nutritional Value of a Mango?